11.61mm x 10.86mm / 0.457in. x 0.428in. Rotary Phone Charm by Rembrandt Charms. The width is 1/2 of an inch. 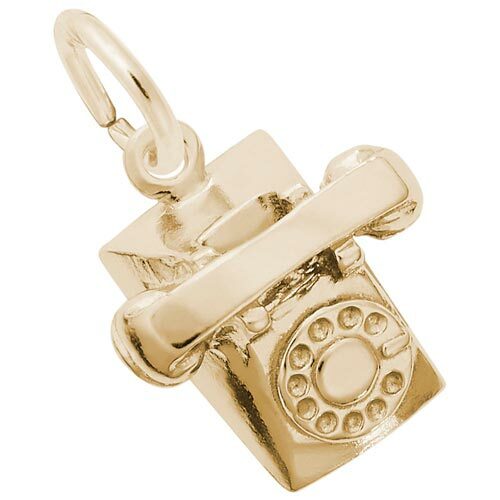 Hang on to the good old days with this Rotary Phone Charm. This item will have your friends ringing with joy. This phone jewelry can be placed on a necklace as a pendant or will be a wonderful addition as a charm for a Charm Bracelet. All Rembrandt Charms are available in either silver or gold.